An existing house can be elegantly transformed into a home rich with character and style. 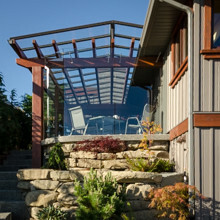 Our twenty years of design build expertise provide many options and solutions. We will assess the overall integrity of your home’s construction to confirm feasibility of the proposed work. Our renovation projects are managed to the same high standards as our custom design-build assignments.